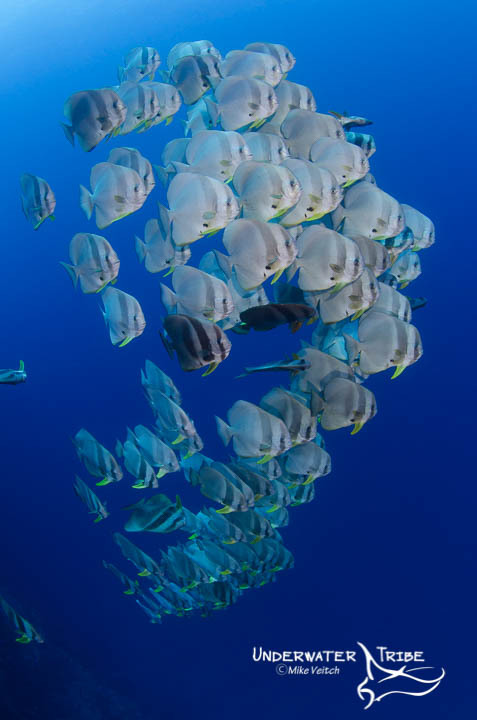 This is another cover photo from way back, it appeared on the cover of Scuba Diver Australasia in 2007. This photo was taken at the site “Basura” in Anilao, Luzon Island in the Philippines, a stereotypical “muck” site that features a rocky slope dotted with larger coral heads located right in front of a fishing village. Hiding underneath one of these coral heads was a fairly large peacock mantis shrimp which proved to be one of the more feisty individuals that I have come across, as it showed no fear of my camera (or me) whatsoever! It was a large specimen which was very protective of his (or her?!) space and came right out to challenge my camera as I tried to take photos. The key to this image was the fact that I had a +4 diopter on my 105mm at the time which allowed me to get much closer the shrimp than I would be able to with just the 105mm lens. For me, the ultimate photo when it comes to close focus wide angle photography is capturing an octopus behaving in the unique ways that octopus do. 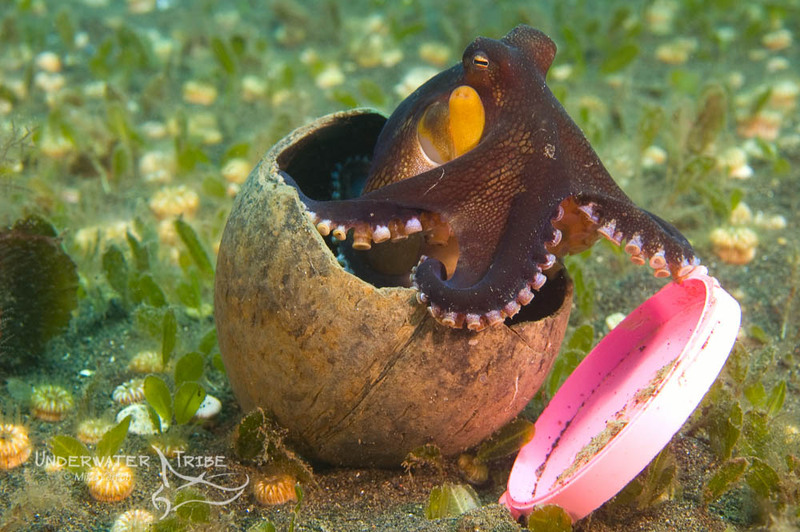 In Bali, there is a black sand dive site called Puri Jati which is well known for its octopus population including long arm white V, mimic, and the ever curious coconut octopus. 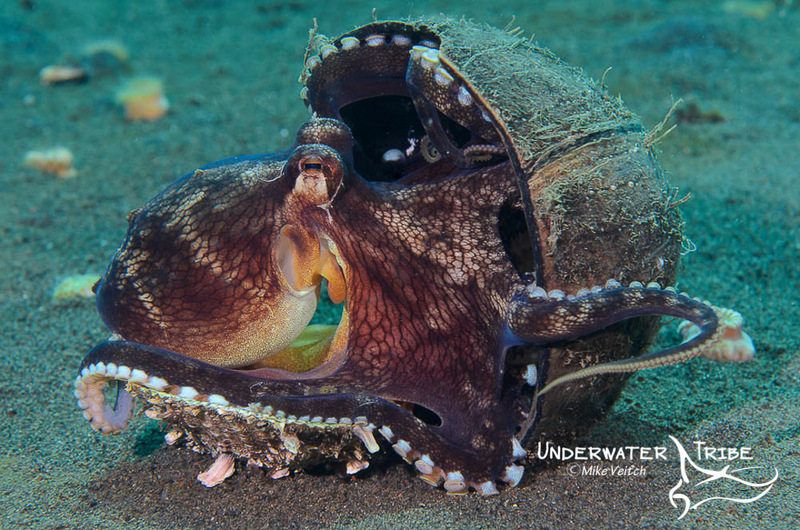 This particular photo was taken of a coconut octopus that I found in a few metres of water which was living inside its namesake: a coconut! The best thing about this encounter was the fact this octopus was a player, each time I edged closer, the octopus would pick up its home and scuttle across the sand away from me before settling down once again. The key to this image was shooting it from far enough away to show some of the background as well as the main subject. I also used a slower shutter speed in order to utilize the natural light to “burn in” the background to show the environment where the octopus lives. This photo appeared on the cover of Asian Diver magazine back in 2005. As often happens with photos that get published, it was a last minute addition to a series of photos I presented to the Art Director who instantly knew this was the photo she wanted due to the myriad of colours that fill the frame. 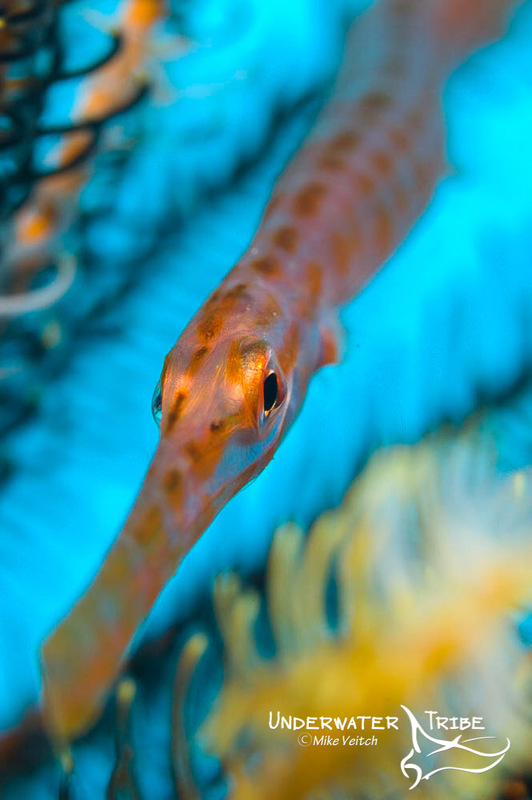 The main subject of the photograph is a juvenile trumpet fish that was hiding in a crinoid that was nestled within a sea fan on the dive site Yap Caverns in Yap, Micronesia. 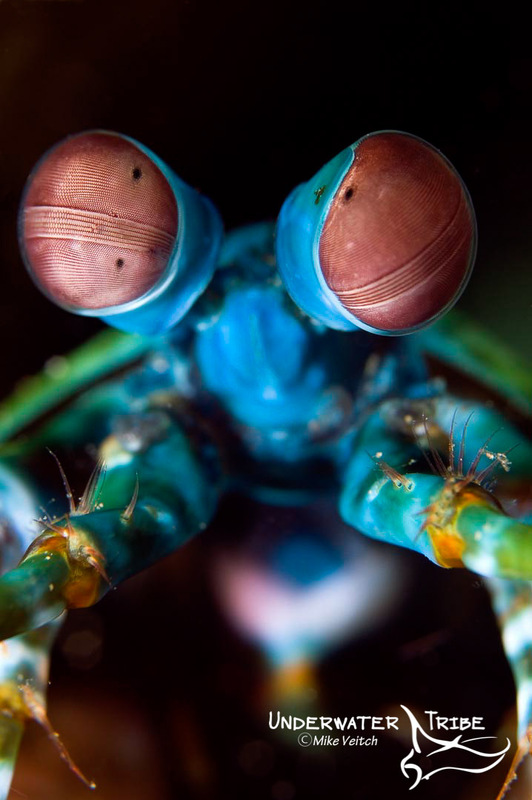 The idea behind this photo was to capture a bright blue background while shooting a small subject with a macro lens. The key element was finding a subject that allowed me to get below and shoot up, in this case the trumpet fish in a sea fan was a perfect opportunity. Not many dive magazine at that time published macro photographs on the cover, this was my first “macro” cover, and I believe it was the blue background that really stood out to the Art Director. My first time diving the Liberty Wreck in Tulamben, Bali was in 2006 during a photo workshop I was conducting with Tim Rock at Scuba Seraya. During my very first dive on the wreck, I swam the length of the wreck scanning the site for the best photo opportunities. 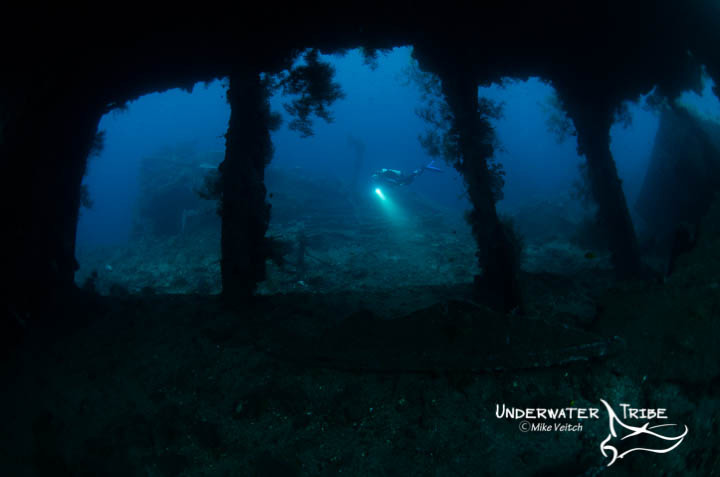 Once I reached the midship area, with the open cargo hold, I kept it in my mind as being one of the best “photo ops” of the wreck as it certainly offered a real feel of being in a proper shipwreck as opposed to only the colourful soft corals which are plentiful on the Liberty. Being ever the opportunist, I immediately decided that I wanted to incorporate photos of this scene into the photo workshop that we were teaching. Therefore, for the rest of the week I worked with each of the participants to set up this same shot again and again with very positive results for everyone who took the shot. Although it looks like a simple shot, the difference in brightness inside and outside of the hold does make it a great learning process for new photographers to work out the intricacies of shooting natural light photography and silhouettes. For anyone who has taken a photo class with me in Bali since then, you will most likely recognize the photo. Knowing a good learning experience when I found it, I continue to utilize this scene in all of the photo classes that we teach in Tulamben to this day and I am sure will continue to do so far into the future. If you are diving with us here in Bali, let us know if you would like to try your hand at this photo opportunity, we are always happy to model for you! It’s been awhile, we have been exceedingly busy here in Bali over the past month and somewhat lax when it comes to our social media! Therefore, as a special gift to you all, we present another Photo of the Day! 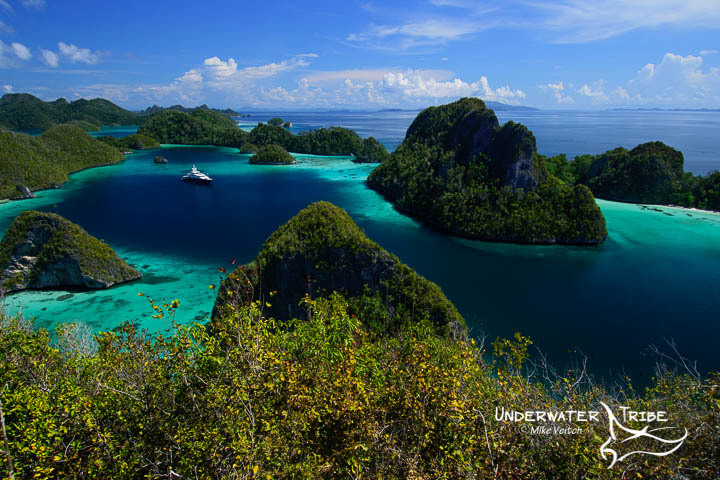 Hope you enjoy this photo from Raja Ampat. That’s it! 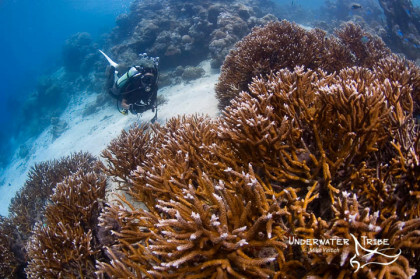 Now it’s just a case of getting your hands on some filters and a nice shallow dive site. 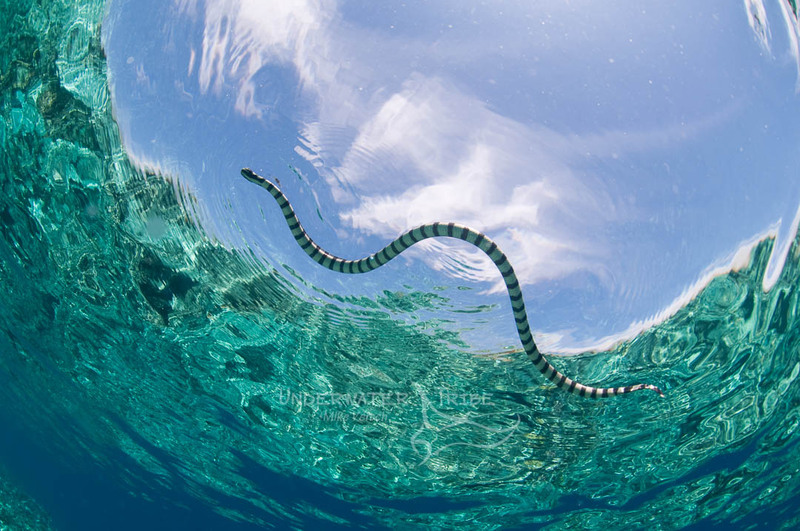 Our friends over at Magic Filters provide the best and largest range of filters for underwater photographers so head on over to their website to have a look at their products. One of my favourite underwater photo subjects are turtles, it doesn’t matter if it’s a “relatively” common hawksbill turtle or green turtle or any of the other more endangered turtles, I am always happy to encounter any turtle when diving. On this particular encounter on the island of Layang Layang in Sabah, Malaysia, I ran into this friendly hawksbill turtle who was happily munching away on sponge embedded in the hard coral. As with any turtle encounter, I stopped and watched it for a few moments to see if it would be spooked by my presence or if it would allow me to get closer. After watching it for a while I decided that it wasn’t bothered by my presence and so I slowly moved closer in order to take a few photos. After snapping a couple of shots from the side I then decided to see if the turtle would allow me to approach from the front, as this photo can attest, it sure did! 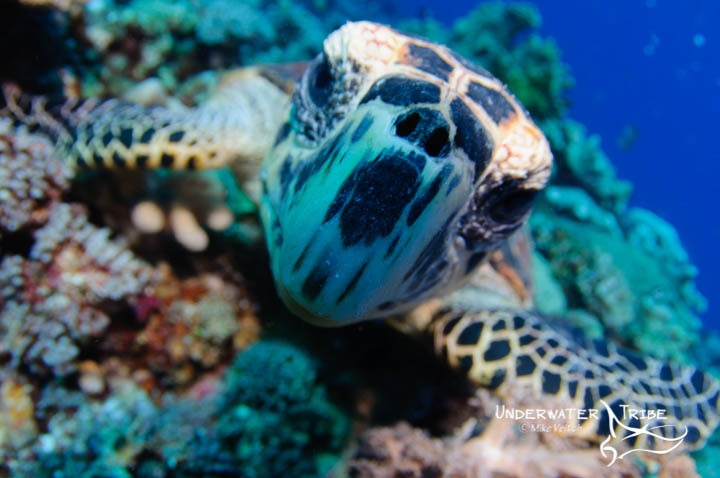 As I moved from the side toward the front I realized that the turtle was allowing me to get quite close, but as I started to maneuver my strobes closer to the port the young hawksbill turtle decided that it was a lot more interested in my dome port than the sponges! Abandoning the idea of moving my strobes, instead I started backpedaling away from the hungry hawksbill while snapping off a few photos and trying to avoid “turtle bites” on my port! My guess is he/she reacted to the reflection of another turtle in the port and the attempted biting was in order to scare off a potential competitor. After I backed off again the happy hawksbill went right back to munching on sponge and ignoring my ungainly presence. Although I didn’t necessarily get the lighting correct on this shot, it is a photo that stands out as it was really a funny situation with a personable turtle who was intent on showing me who’s the boss!